14-story tower designed by architect Mauro Rossetto. 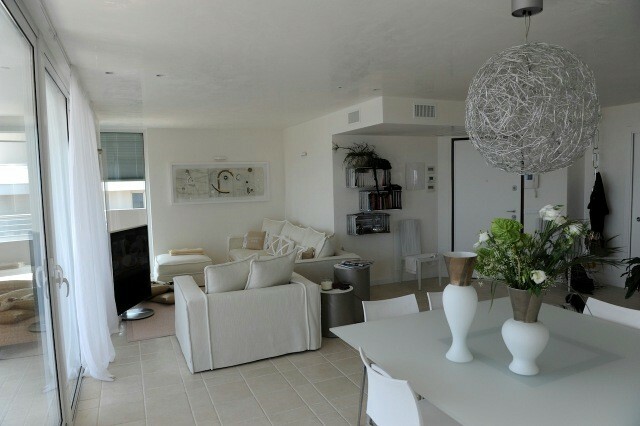 The tower is composed of three rooms one apartment per floor. Complete construction plans for an appendix of four west consists of a three-room floor. The three rooms are composed of a bright living-dining area (35 sq m) with access to large terrace sea view, double room with private bathroom, bedroom, study, bathroom with window. The apartments are all located beachfront, have a commercial dimension of 95 square meters, with terraces (62 sqm) that wrap around the building and provide a spectacular view of the beach. 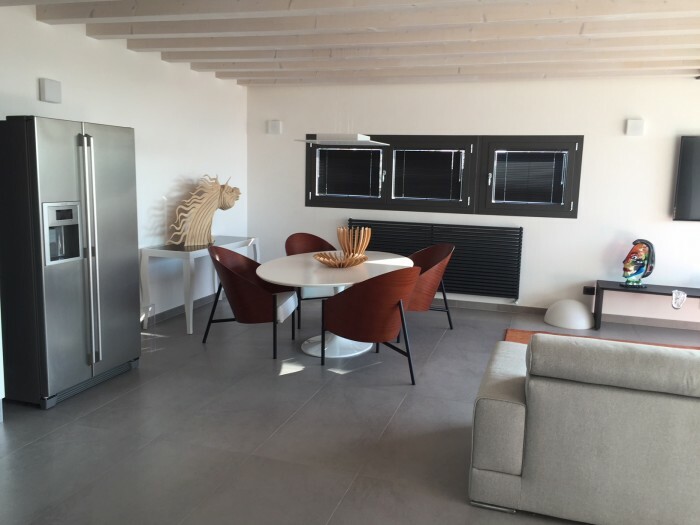 The penthouse has a private solarium of approximately 150 square meters and will be furnished to the customer's choice, with whirlpool and other accessories. High standard of finishes: glass parapets of the terraces, floor heating and ducted air conditioning, plumbing suspended wood floors.